orm has 13 rings with colors of black and brown alternating. For those who do not know, this is how the winter weather is predicted here. The worm that wins the race is the one that determines whether we will have an early spring or 13 weeks of winter left. This is the major fundraiser for the community which helps the children of Banner Elk and surrounding areas. 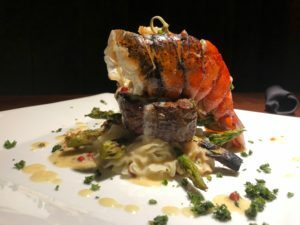 Elevations Restaurant is now donating money off of the food you order for 13 Wednesday nights. They donate $4.00 for every hord’oeuvre you purchase and for the special entree that evening. 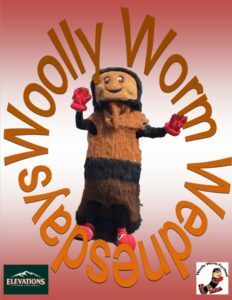 They also make a specialty drink for that night which they also donate to the Wooly Worm Festival. Last night we went to support the chamber and had a wonderful meal. I had a great shrimp appetizer and another got the steak and lobster which was wonderful. Come out on Wednesday night and support the Wooly Worm Fundraiser and have a great time with wonderful food.